The OMEGA PX157 transmitter provides an accurate, reliable, and economical means for monitoring differential pressures in HVAC automation, pneumatic systems, and process control. The output can be easily interfaced with chart recorders, data loggers, and computerized monitoring and control systems. Modern, low- pressure chemical vapor deposition methods provide simple, stable molecular bonds between a proven metal diaphragm and a polysilicone strain gage bridge. The integral metal diaphragm and polysilicone bridge are virtually unaffected by shock, vibration, or mounting. 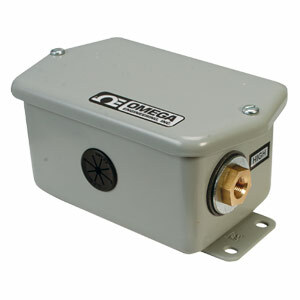 注: Pressure snubbers PS-8G (gas), PS-8E (liquids), or PS-8D (dense liquids) should be installed on transmitters, $10 each.